Our collection of feature assignments from around the world. GREAT WILDERNESS WITH A POLAR LEGEND. A selection of photographs during his march to the South Pole (1986) and North Pole (1989). Antarctica has reached into our hearts and minds and tugged at our adventurous spirit ever since the Ancient Greeks hypothesised that a great southern continent Antarktos had to exist. The continent has witnessed the best and worst of mankind’s relationship with nature – from darker days when the first sealers and whalers arrived in the 19th century and drove many species close to extinction, to a new dawn with the heroic polar exploration age from the 1890s to 1920s. Since 1959, Antarctica has won our protection in the form of the Antarctic Treaty, a nation-binding agreement between 53 countries that keeps the pristine continent free from exploitation in all forms. It is the only free place left on Earth, owned by no one – a designated land for science and peace. The Treaty is regarded as one of mankind's greatest achievements. However, the continent once again faces an uncertain future as a consequence of human meddling. The Treaty is up for review in the year 2041, and there are countries and companies already jostling for claims on the continent’s resources. Meanwhile, climate change is warming the continent faster than ever, which means that we will begin to feel Antarctica’s power even more in the decades to come as ice-melt morphs into sea level rise, burying low-lying shorelines around the Earth. It’s a time when our species and the seventh continent’s fates are intertwined and when our protective instincts need to guide our imaginations and actions once again. Earlier this year, I travelled to Antarctica for Eco-Business news and Channel News Asia to document a voyage with a climate change activism foundation called 2041, led by British polar explorer Sir Robert Swan and his son Barney. 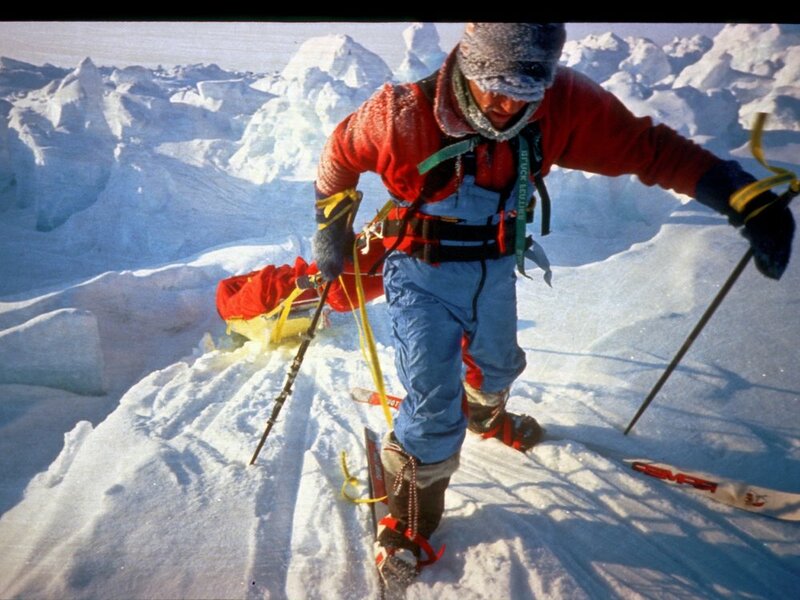 In 1989, Rob became the first person to walk to both the South and North Poles. Since then, his mission has been to draw attention to the plight of the polar regions through activism, expeditions and renewable energy initiatives. Our two-week voyage was joined by 90 people ranging from activists, scientists and teachers, to entrepreneurs and renewable energy specialists from around the world. My place in the group was as a documentarian, to film and photograph along with Singaporean environmental journalist Jessica Cheam a documentary about the expedition and climate change. As the journey commenced, we sailed across Earth’s most treacherous sea crossing,The Drake Passage, all the while hearing stories of the Swans’ expeditions. In January this year, the pair led the first-ever renewable energy expedition to reach the South Pole. They dragged sleds fitted with NASA-designed solar panels, used biofuels for cooking and survived solely on renewable energy. The expedition was 100 per cent carbon neutral. While 61-year-old Rob had to turn back halfway, 23-year-old Barney made the full distance. The decision was one Rob said was the “hardest of his life”, particularly to leave his son to “face the terror of what was to come”. Barney nearly lost toes, but the 56-day historic walk has now etched both their names in polar history. “If we can survive in the harshest place on the planet, then why can’t we get our act together back in the real world, in order to use more renewable energy?” asks Rob. His vision for climate change is simple: “It can’t be negative. Because people switch off. And no one I’ve ever met on Earth is inspired by someone who is negative”. The Swans aim to inspire professionals and companies to live more sustainably and speed up our transition to renewable, clean energies. “People thousands of years from today will be so proud of us if we just leave one untouched place on Earth for the sake of science and peace,” Rob says. Our voyage takes us on a zigzag route through the waters off the Antarctic Peninsula, one of the most stunning albeit fastest-warming places on Earth. We see marauding monolithic icebergs slip past the ship. In the distance pristine peaks bestride the shoulders of glaciers that rise from the sea. We see breaching humpback whales, inquisitive leopard seals, legions of unafraid penguins and scores of albatrosses arching across the unblemished skies. We encountered steep glaciers – more than 300 meet the sea on the Antarctic Peninsula – which flow downward and create iceberg factories on both the west and east coasts. It is a place where the human body is feeble and “makes a mock of our puny existence” as polar legend Ernest Shackleton wrote during his doomed Endurance expedition. But the importance of a journey to Antarctica is what Norwegian explorer Fridtjof Nansen would say is the “call of the wild”. “The first great thing is to find yourself, and for that you need solitude and contemplation – at least occasionally. I can tell you this, deliverance will not come from the rushing noisy centres of civilisation. It will come from the lonely places,” he wrote. To stay wild, Antarctica needs us. This is a fact often misunderstood. We banned whaling, put national interests and claims to one side and have put science and peace first, which must be commended. Just like Earth's great National Parks – Yosemite, The Great Barrier Reef, The Serengeti to name a few – which needed to be established and routinely patrolled to keep them safe from our own exploitative tendencies, Antarctica, too, needs our protection. To remain a land of science and peace, the continent needs us to commit to the preservation of the Antarctic Treaty when it comes up for review in the year 2041. In 1961, the signing of the first Treaty was a historic moment of international unity, which put the preservation of wildlife ahead of national interests. Since then, wildlife has flourished and scientific research has been shared, leading to a deeper understanding of how the continent affects the rest of our planet. Through their 2041 foundation, Rob and Barney see the key to unlocking attitudes to the climate change issue in inspiring wonder and connecting people with the natural bounty of the continent. They have taken close to 4,000 people on expeditions over the years to spread their renewable energy message. Each person who leaves their expeditions, including all 90 people on our voyage, leave with a set of solutions to take back and implement in their home countries – some big, some small. A map of Rob & Barney Swan’s 600-mile renewable energy march to the South Pole. McKunyopa. He is leading a reforestation program this year on Mount Kilimanjaro. Singaporean Inch Chua created an Antarctica soundscape theatre production, Team Zayed from the United Arab Emirates are championing solar light usage and marine conservation, Indian engineer Vijay Varada has designed an open source design for a wind turbine, which can be downloaded and 3D printed for free worldwide. Journalist Jessica Cheam and I hosted Antarctica photography and art exhibitions in Singapore. What's more, all of the remaining participants have pledged to engage and enlighten their communities with climate change projects. 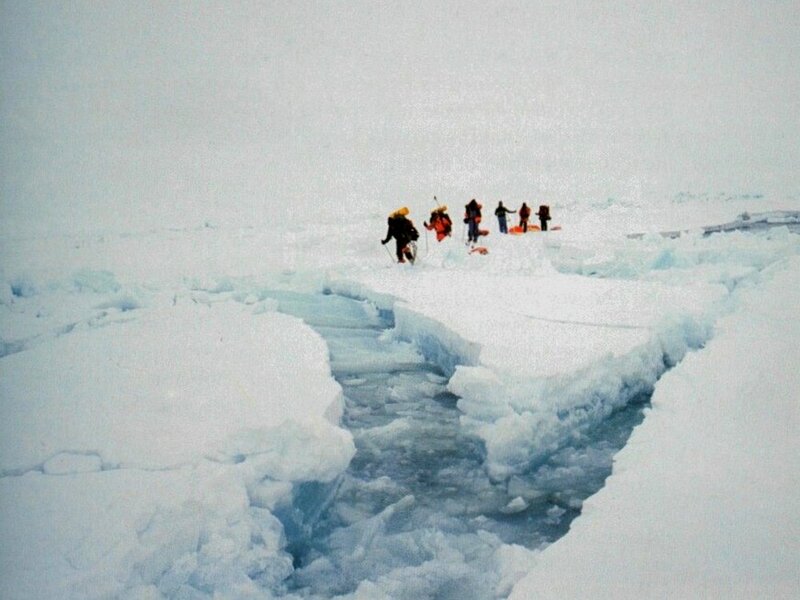 Antarctica reached inside of all us and tugged at our protective instincts. As I realised at the end of the trip, the reason to visit the Last Great Wilderness is to bring back stories of its wonders and share the experience with others. That’s Antarctica’s greatest reward. Any time I close my eyes, I can still see those unblemished peaks rising from the sea at the bottom of the Earth – where nature is wild and free. As Rob rightly put it, “From now on, whenever you will look at a map, your eyes will go south to Antarctica”. 2041 International Antarctic Expedition. Photo by Trent T Branson. 2041 foundation has a two-pronged mission: To protect the Antarctic Treaty, as well as to create climate change champions and promote renewable energy use through expeditions. Rob and Barney are on a seven-year Climate Force Challenge to clean up 360 million tonnes of C02 by 2025. If you would like to learn more about the Antarctic Treaty, or educate yourself on incorporating positive lifestyle changes and actions you can take to combat climate change, visit www.2041. com/education. If you are interested in applying for an expedition with 2041, contact info@2041.com or jeff@explorerspassage.com for further details. This photo essay and article was originally published in BBC Earth Magazine, September 2018. Additional archive photography with thanks to 2041.com and group photo Trent T Branson.